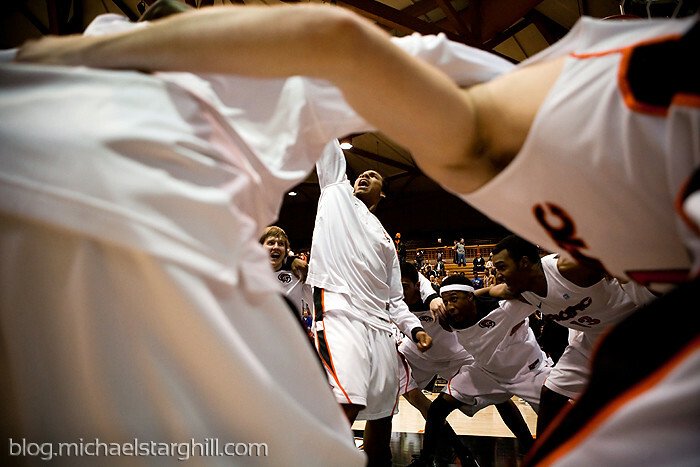 Do you remember Michael Olowokandi? 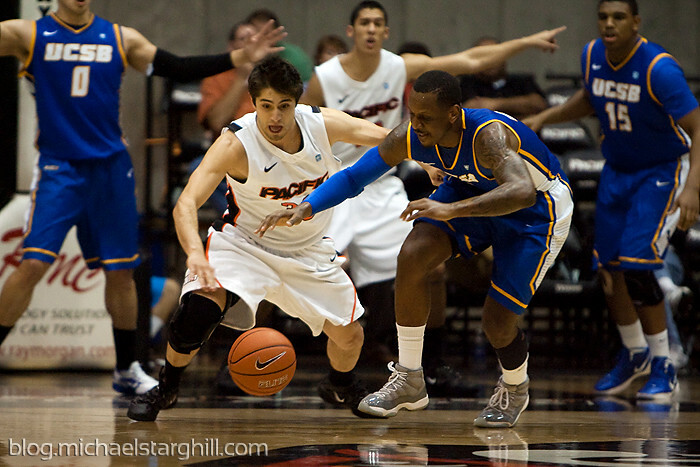 Did you know he played ball at Pacific? 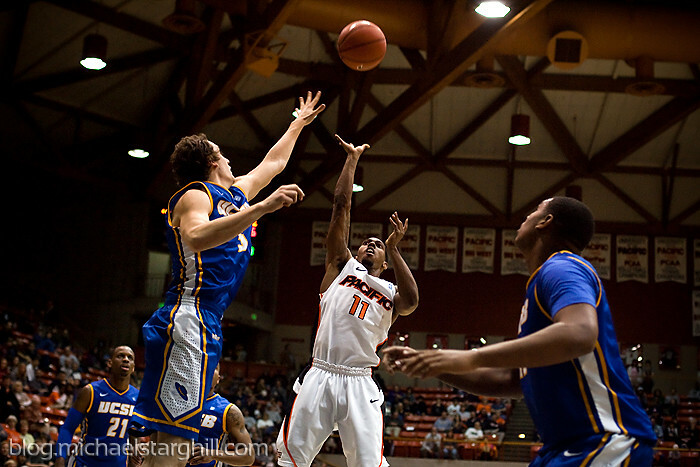 I didn't either until I saw his #55 jersey hanging in the Alex G. Spanos Center's wall of fame. 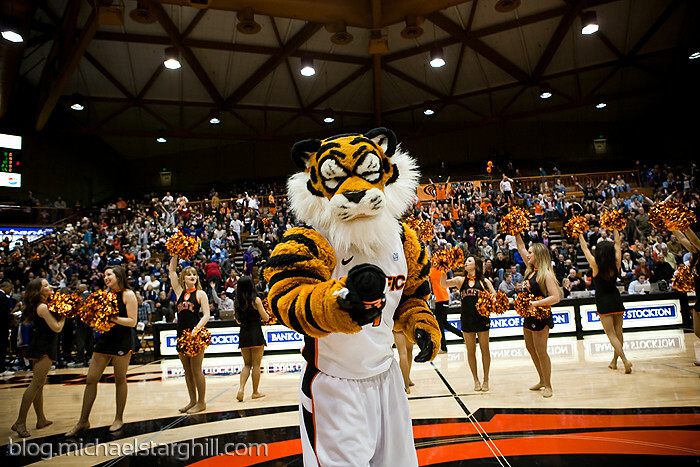 I recently photographed the Pacific Tigers men's basketball game against the UC Santa Barbara Gauchos during some good ole Big West Conference action. In totally unrelated news, I also found out that there was a hole in my radiator during the drive to Stockton. Enjoy!